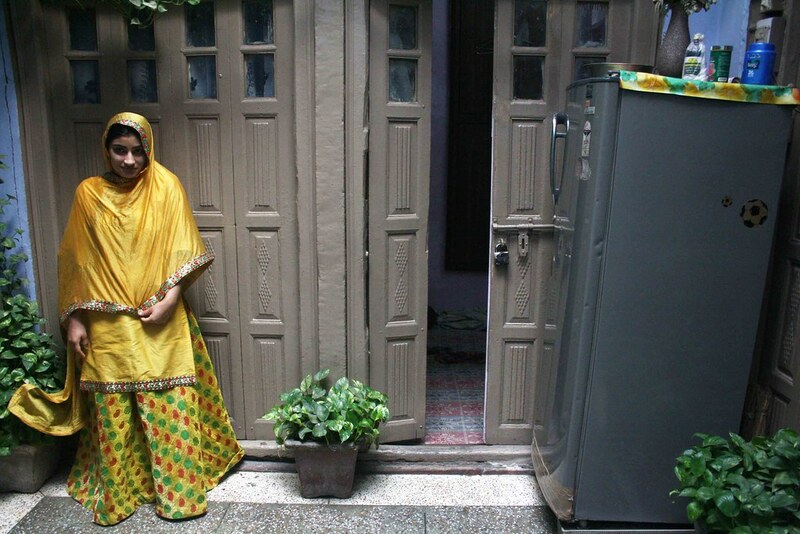 The Delhi Walla meets this woman at an apartment in Jamia Nagar, south Delhi. She is in a sharara, a pair of loose-pleated trousers usually worn by Muslim brides. 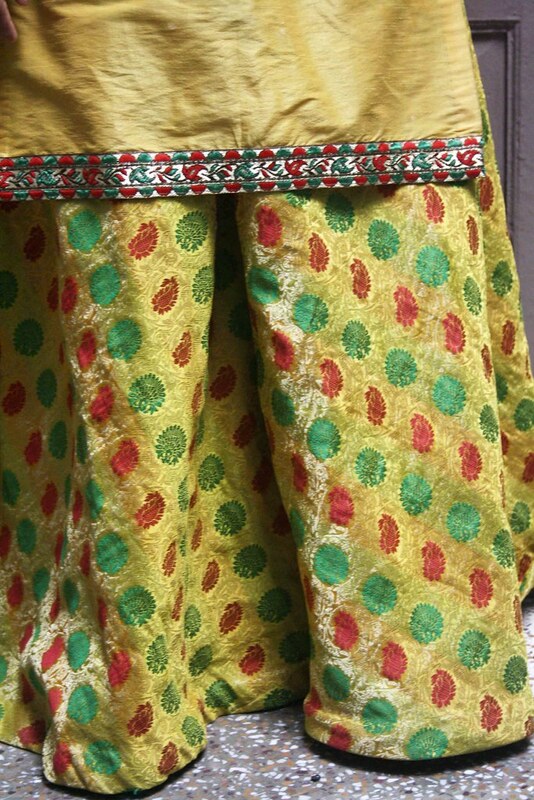 Composed of floral designs in red and green, the sharara spreads around her legs in deep folds. 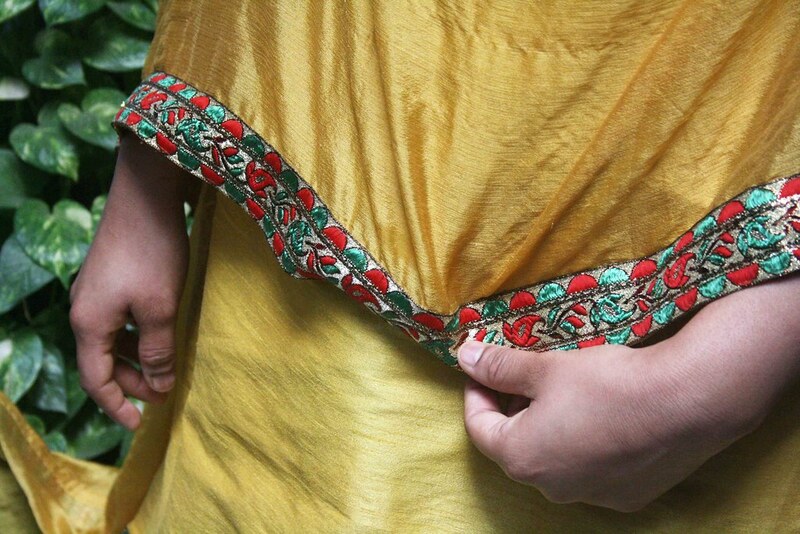 The yellow kameez that descends to her knees is laced with embroideries depicting leaves, flowers and fruit. 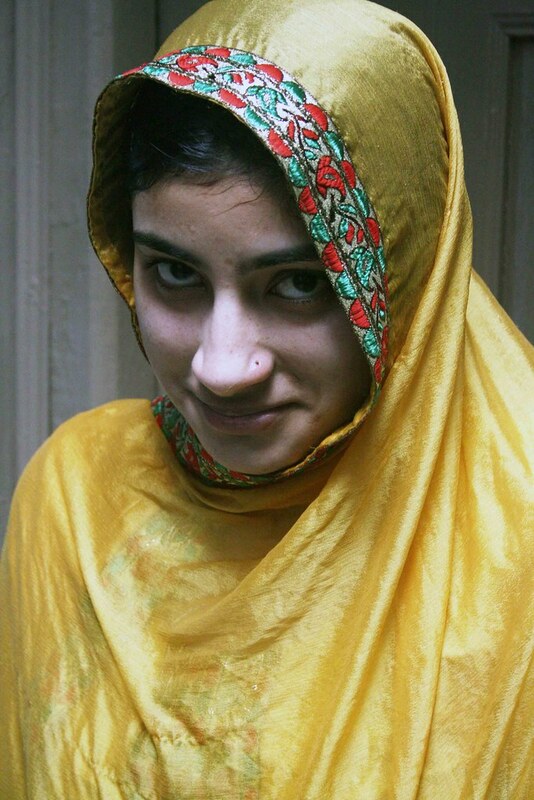 The head is covered with a dupatta of the same shade of yellow. The woman shows no jewelry. There is no one dressed like her. What will the woman look like after a decade? I hope she will find love in this mariage. She looks quite scared, I can imagine. Good luck! Quite absurd – the not chancing clothes and no shower concept. Unreasonable. 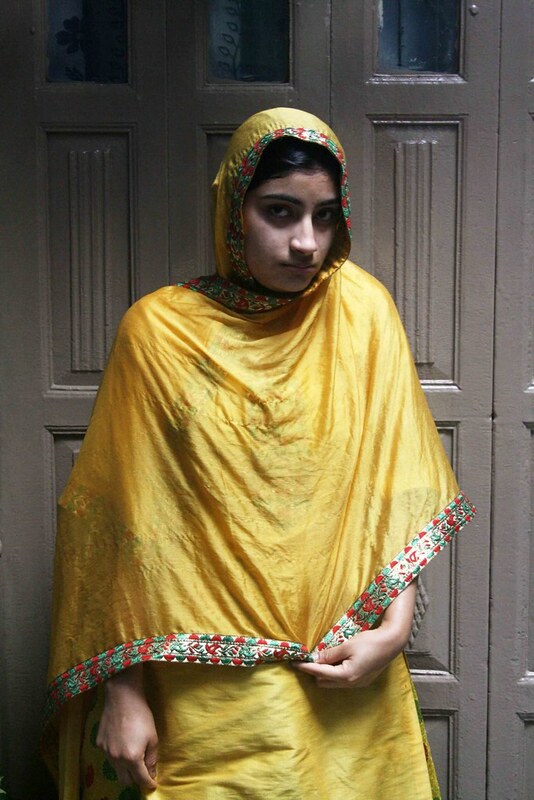 a picture of a truly empowered woman: sticking to traditions yet imposing her rights… hope she’ll find true happiness in this marriage..
Says it has been agreed I will continue to study and I will not wear the veil, how cute. Way to go my lil hero. She looks like someone I know. Or maybe her mother is.